Include fibre-rich vegetables and fruits in your diet. This will help to remineralize the tooth surface. Avoid intake of carbonated drinks. Try to increase the intake of fluoridated water and products to a minimal as fluoride elements helps to protect the tooth from decaying. 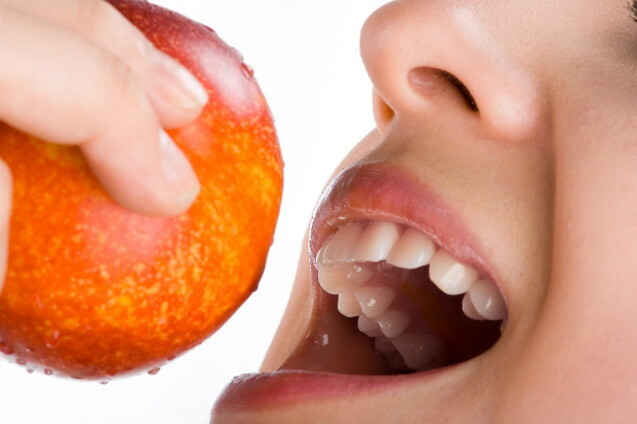 Clean your mouth thoroughly after every snacking. The gums and teeth needs special and good care. Thorough brushing will help to prevent gingivitis. It is important to avoid tobacco and alcohol intake as it may increase the risk for developing problems like oral cancer, throat cancer, fungal infection, gum diseases, etc. Try to avoid medications that tend to make your mouth dry. If you are going to have cancer treatment, go for oral health check-ups before starting it. Oral health check up is a must before a cardiac surgery. A dental check up should be done in every 6 months in order to confirm your oral health.